From the comfortable surroundings to the cheerful dining rooms and beautiful chapel, a welcoming hospitality beckons all to enjoy a good life of faith and friendship. 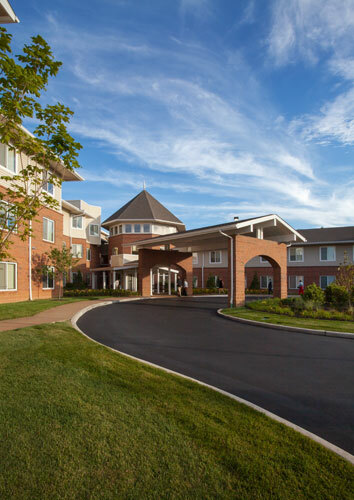 The Sarah Community is a faith-based retirement community offering retirement living, assisted living, and skilled nursing, each with a focus on wellness of body, mind, and spirit. 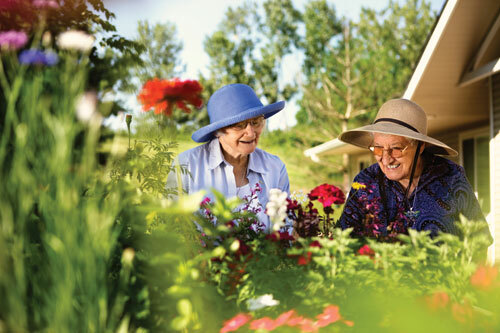 If you're looking for a retirement community with a friendly and safe environment where you can make new friends, stay busy, and receive caring, respectful, and individualized care when you need it, you'll find it at The Sarah Community. When you make your home at The Sarah Community, you're sure to meet many new friends. Our residents socialize with planned activities and spontaneous get-togethers. Residents can enjoy a favorite film in our media room, visit with family and friends around the fireplace in our community room, enjoy other on-campus amenities such as walking paths, our wellness center, billiard room and library. At The Sarah Community, tomorrow is to be embraced, not feared. In all directions there are new horizons and new opportunities for personal growth and fulfillment. As every resident will tell you, theirs is a home made warmer by celebrating diversity and new acquaintances. Our residents, men and women, couples and singles, discover and experience a nurturing and empowering environment every day. We creatively inspire the best in each person and celebrate life in an atmosphere of respect for the dignity and individuality of each resident. Our residents and staff seek to build a community of care and love that is open to all the treasures and surprises of life so each one may find meaning, purpose and inner wisdom.